Look what we found while hoppin’ through the bunny trail! 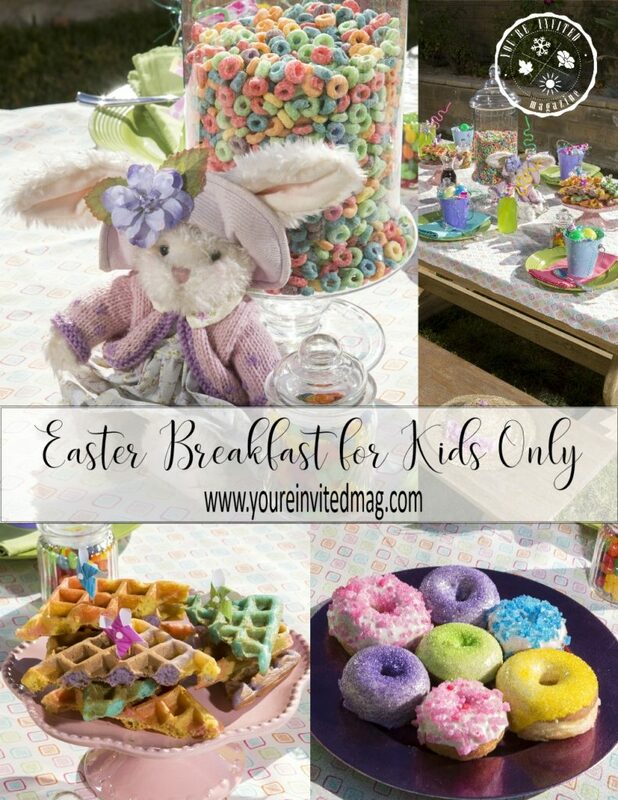 A colorful kid’s table! 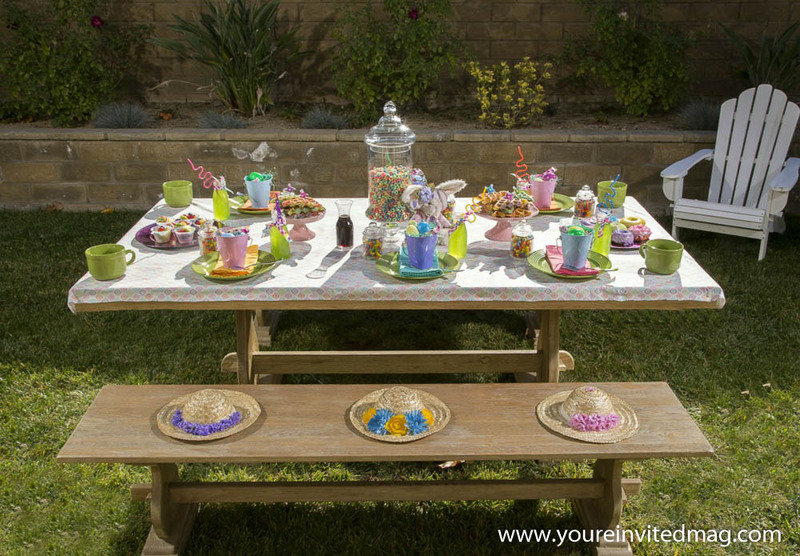 Yes, this is a kid’s table and every youngster will love sitting at it. 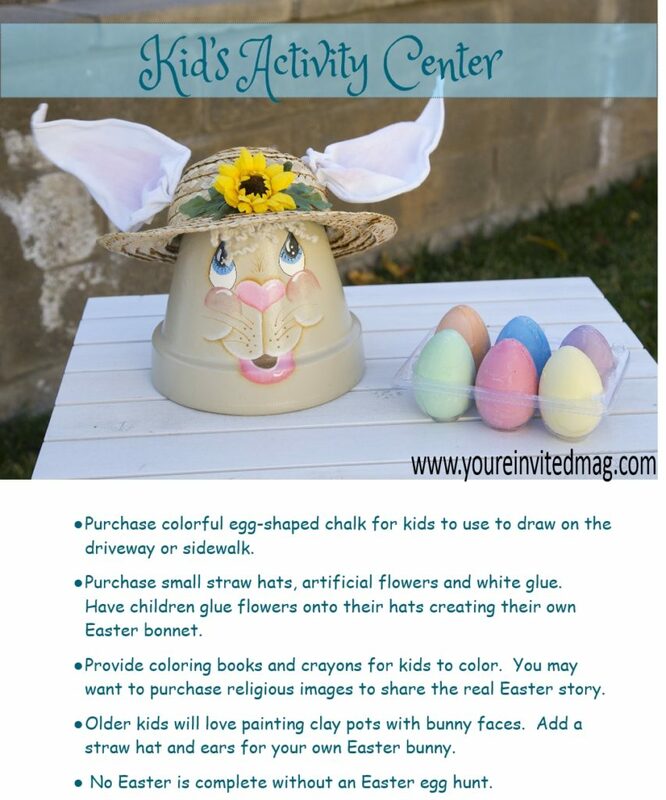 Cute Easter hats are laid out for each child to wear. 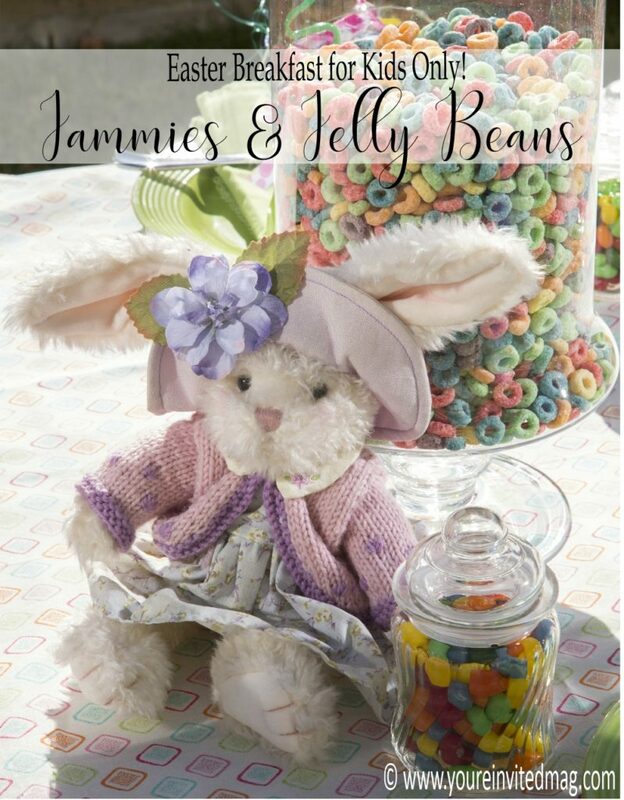 Don’t worry if your kids don’t want to get out of their pajamas because this is a Jammies and Jelly Beans Table. 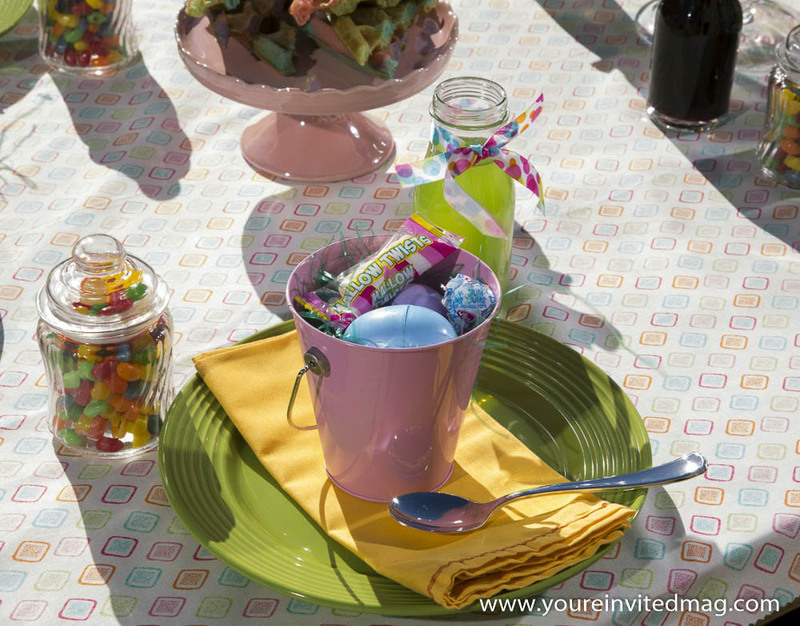 Instead of Easter baskets, small pails were placed at each place setting. 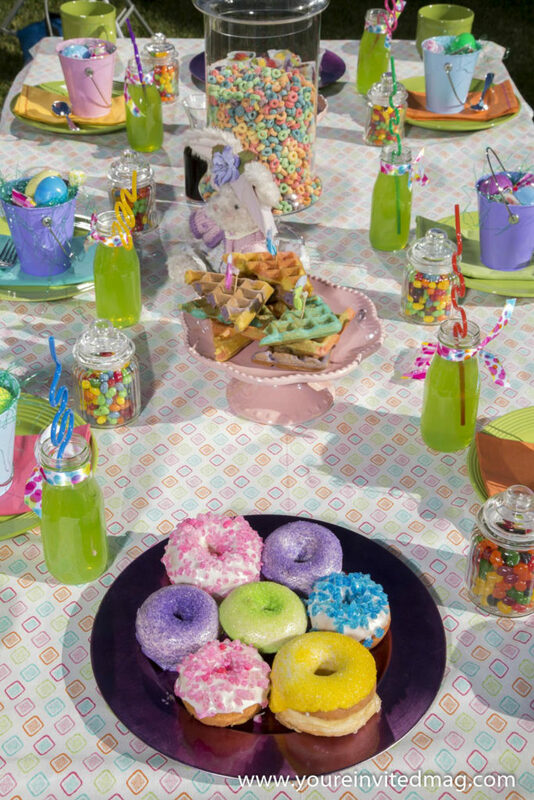 The colorful pails were filled with plastic shredded grass, lollipops, candy, and plastic eggs filled with lots of surprises – including money. Be sure to include a jar of jelly beans, so kids can learn all about the Jelly Bean Gospel. Click below to learn about the Jelly Bean Gospel. 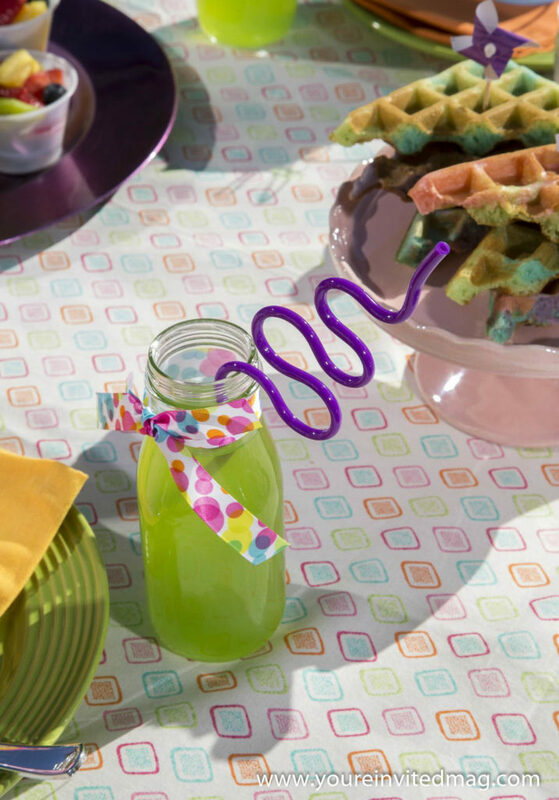 Find colorful ribbon and wrap it around the top of each glass and place a squiggly straw in each one. After all, every kid loves to sip from these funky straws. They find it amusing watching the liquid move up through the straw. 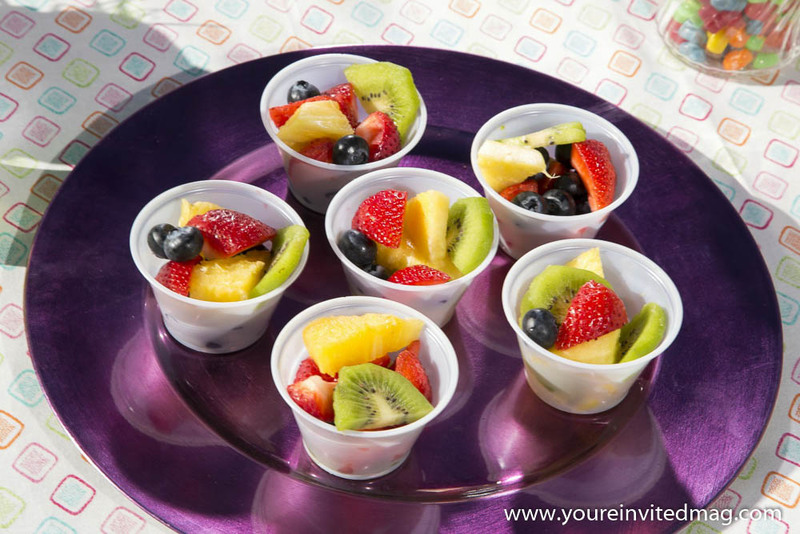 Cut up fresh fruit and place in small plastic cups. Choose colorful fruits such as pineapple, kiwi, strawberries, blueberries, grapes and oranges. 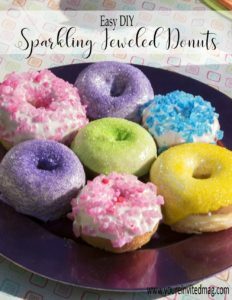 Don’t these donuts sparkle? They’re semi-homemade. Click the link below to get the directions. However, you might want to make extras, as they’ll go quickly. 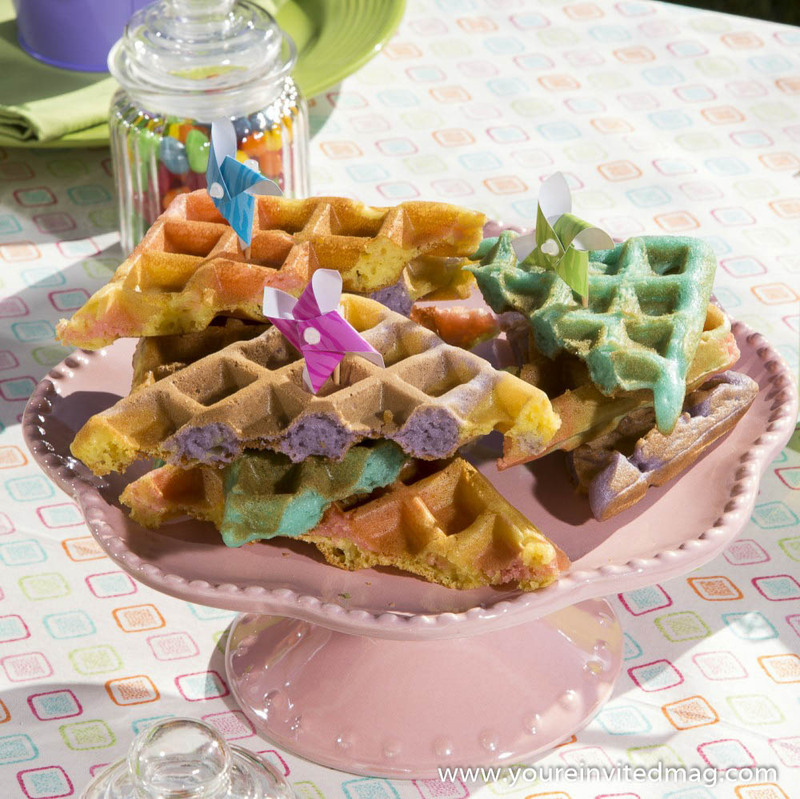 After seeing these beauties, you and your kids may never want to eat plain waffles again. Have fun, and top them with toothpick pinwheels. Kids will find them amusing. Got milk? 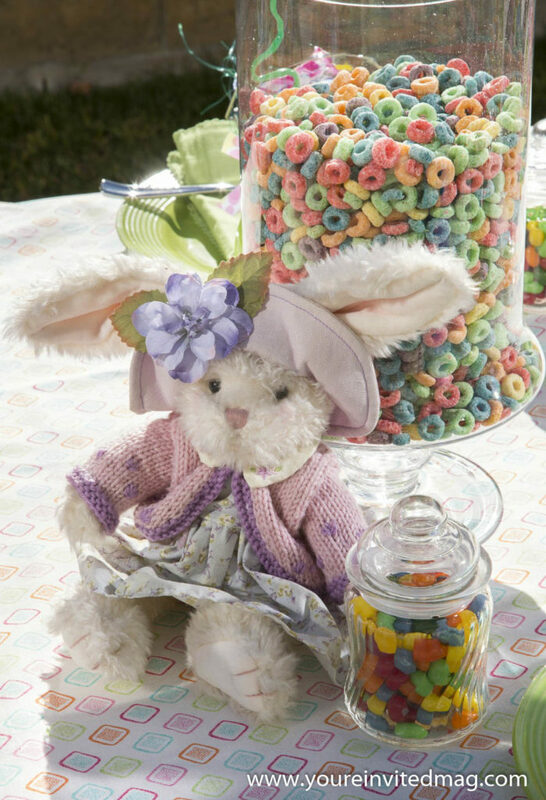 Ms. Bunny is waiting for the milk to arrive, so she can make herself a bowl of cereal. As you can see, she’s all dressed up with her Easter bonnet on and ready for church. If only she could get some milk for her cereal. Don’t forget to “pin it” to Pinterest. 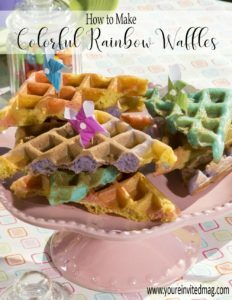 Click on the below links to get the directions to these colorful treats!